This week I’d like you to meet my good friend Melanie Thurlow, author of regency romance Rose By Another Name, the first book of The Blythe Series. Her worth decided over a game of cards, Lady Rosalyn Hayes has accepted her future. She will marry a duke she doesn’t know to protect her sisters’ reputations. But when a year of preparation for her debut vanishes in the blink of an eye, Rose flees her gilded cage in search of unrestrained adventure. Lord Robert Phillip Clarence, Duke of Brighton, lives a life of debauchery far from his country estate, and even farther from the lady he must marry in order to restore his family’s ancestral lands. But when he is summoned home to meet his future wife, he realizes he hasn’t lived at all. Rose and Robert do not meet when their eyes lock across a ballroom swathed in candlelight. They do not meet amid fine clothes, genteel manners, debonair charm, and chaperones. They meet, alone, upon Rose’s near death. It is this near-death experience that catapults the two nobles, disguised as servants, towards a romance that seems destined for failure. They think they know each other. But when their true identities are revealed at a house party, will they live happily ever after or will the ton be shocked to see a lady run? 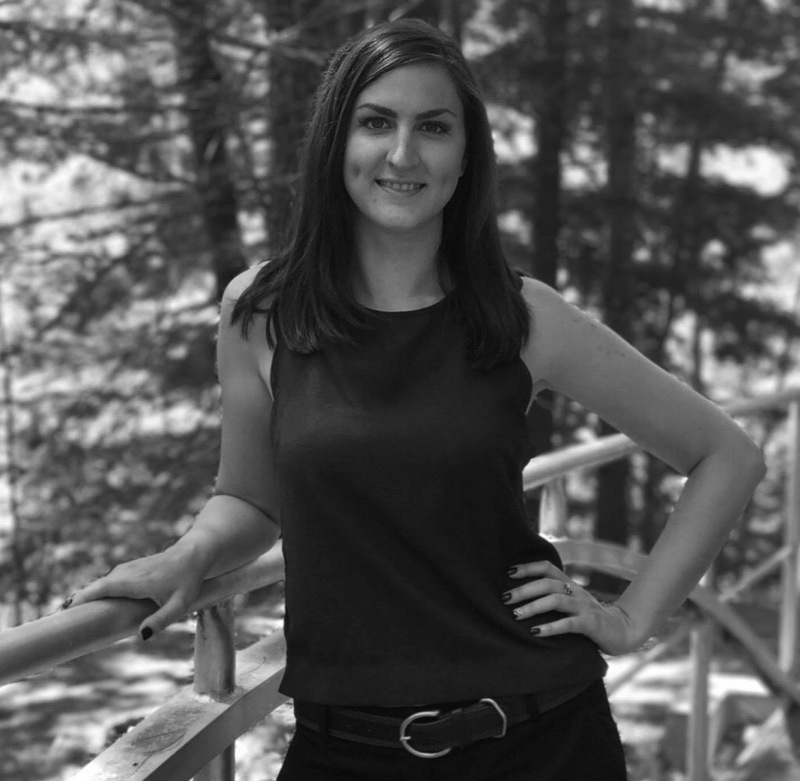 Melanie received a Bachelor’s degree in Business Management from the University of Maine Augusta in 2014 before deciding to pursue a career in writing. As the seventh of nine children, and an avid storyteller from an early age, Melanie has never lacked for inspiration. She lives in her family’s country home in Maine. Melanie finds the time to write in between being a full-time, homeschooling mom of one and working part-time as a administrative assistant. Oh, and she enjoys long walks on sandy beaches, and tea. Lots of tea. Hi, I’m Melanie Thurlow. I would like to start off by thanking McKenzie for inviting me do this interview. It is very much appreciated. A little bit about myself. Well, I live in Maine. I work part-time as an administrative assistant and full-time as a mom to a lively five-year-old. Right now I am editing the second book in my regency romance series. I first fell in love with books the year I graduated college, so 2014. I remember kind of being lost with what to do with my free-time and then my sister recommended I read some book that she had just read, and so I did. And then I became addicted. At first it was with audiobooks. And then all books. There isn’t one singular book from my childhood that I could single out as my favorite, however, the Boxcar Children and the Magic Treehouse series both stand out. Those were the years before boys and clothes were important and before reading became a grade and thus a chore. Oh, man, which book changed me the most? That’s a hard one. I would have to say The Hiding Place by Corrie ten Boom. It’s a story about a Christian family living in Holland during the German invasion. Their home, the Beje, was properly named as the “Hiding Place.” In the book, as in real life, Corrie and her family develop a network, turning their home into a shelter for Jews trying to escape persecution. It’s an incredible true story in which the ten Boom family helps countless Jews. And then, after several successful years, the Beje is raided and the ten Boom family is arrested and sent to prison, and eventually are sent to a concentration camp. But despite this tragedy happening to this family, incredibly, the six Jews that they were hiding in their home at the time remain safe, and Corrie eventually learns that they were able to escape without detection. It’s an amazing story about faith, perseverance, tolerance, and survival. I cannot recommend it enough. The last book I read was Lottie Loser by Dana Brown. I really loved the story line. Dana did a great job keeping me intrigued and making me want to keep reading. My current favorite would have to be Unsanctioned Eyes by Brianna Merritt. The first book is a gripping, action-packed thriller and I just can’t wait to see what happens to Quinn and her assassin friends next. I would love to pick the minds of some of the “greats.” William Shakespeare would be really interesting. I don’t know, I don’t think there is just one that I could pick though. I would love to meet some of the authors that didn’t really get recognized in their lifetime, only achieving fame after their death. The people that persevered despite their lack of success in life. Someone like Edgar Allen Poe, Henry David Thoreau, Emily Dickinson, and so many more. I think they would be really inspiring to meet. I first knew I was a writer in 2014. It was shortly after I had graduated college (about 6 months later). I had been reading like crazy but I couldn’t find anything that completely fit the bill of what I wanted to read. Then one night I was getting my daughter ready for bed and this story started running through my mind. I stayed up almost all night typing out pages of every and all thought that came to my mind. I ended up abandoning the project after writing two and a half books in that dystopian series, but I have every intention of going back to it and one day publishing them. The Order was the first book that I wrote, but the first story I remember writing was in 3rd grade when we had to do a project about the Mayflower and I decided to make a book. It was almost more of an art project than a writing one, as I’m pretty certain I spent more time trying to make my cardboard cover look like leather than I did actually writing the story. But I got an A on it so it couldn’t have been half bad! The most difficult part of the writing journey has had nothing to do with writing itself, and had everything to do with querying. I spent about 6 months sending out queries for The Order and I had some interest and requests for my manuscript, but ultimately I always ended up with that standard reply rejection email. That was really hard, because I created something that I absolutely loved, it was (is) like my baby and it was hard that I couldn’t find an agent right off that loved it the way I did. So dealing with that rejection was definitely a struggle for me. For the book I recently published, Rose by Another Name, (a Regency Romance novel and a 180 degree turn from the dystopian series I had been working on) I set myself a timetable. I gave myself three months to send out queries and told myself that if I didn’t gain any interest by the end of those three months that I would begin the process of self-publishing, which is ultimately what I did. Self-publishing was definitely one of the best parts of the writing journey for me. Being able to hold in my hands something that I created was a dream come true. And being able to read these words and know that I wrote them, that I created this story, it’s remarkable, there’s no feeling like it. The advice that helped the most was to write every day, whether you want to or not. Write. I don’t write every day of my life, but those are words that I live by when I am writing a novel. It just keeps me focused. I have a tendency to procrastinate and so when I am writing a novel I have a schedule and I stick to it. Every morning I write for an hour, and every evening I write for two. And at that rate I’m usually able to finish the first draft in a month. Right now I’m editing and I really need to set myself a schedule because I’ve been procrastinating hard-core. So many projects! The novel I’m working on right now is currently untitled. It is the second book in the Blythe Series, my Regency Romance series. It is about the third eldest daughter in the Blythe family, Isabelle, after her sister Rose has run away. She is dealing with the aftermath of losing her sister and is facing a new, completely foreign reality for herself. She’s feeling abandoned, dealing with death, is facing new life and the prospect of marriage, and it all just piles up. She ends up running away—for a specific purpose and with every intention of coming back immediately—but suffers a tragic accident and loses her memory. Lord Thornton, the cause of the accident, unwillingly becomes her benefactor as she attempts to restore her memory so that they can restore her to her family. However, dealing with his own baggage from his time at war, makes him a volatile caretaker. It’s the story of overcoming odds and terrible circumstances. The characters’ personalities I’ve loosely based on Beauty and the Beast, Isabelle being very bright and yet kind, and Lord Thornton being more than just the demons that haunt him and his grizzly exterior. That’s my main WIP at the moment. But I have also written the third novel in the series which is now waiting it’s turn to be edited, and the fourth has about 15,000 words and probably won’t be completely until mid/late 2018. Besides reading and writing, I love hiking. I don’t do it nearly enough, but I do truly love it. I love the fresh air and the feeling of exertion. Plus, the sights and scents are incredible. And I know this is also technically writing, but I love making up songs. I have absolutely no aptitude for singing (take my word for it) but I am always writing lyrics in my mind. My mom laughs and says that I’ve been singing (to my parent’s great dismay) since I could talk. Maybe someday I’ll put the lyrics to music and sell a song, but for now it’s just fun to have fun with it. An instant expert. Oh my! There are so many choices. I would have to choose writing. It’s my favorite thing to do, and who doesn’t want their work to be read by the masses? That would be a dream come true. Everywhere! Is that an option? No? Okay, I would have to choose Italy. There are so many sites and historical places. I would absolutely love to visit there. I’ve also always really wanted to go on a humanitarian mission, so that would be pretty amazing too. 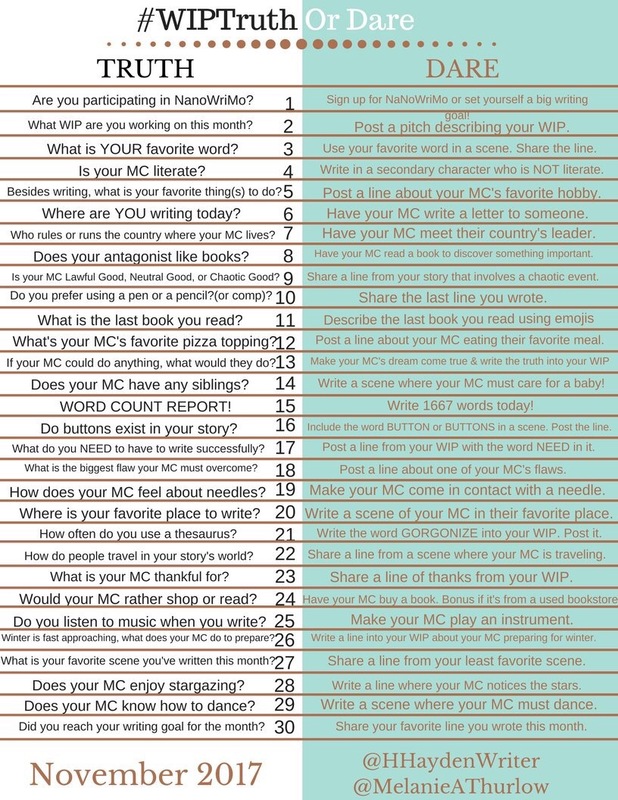 Aside from writing, I spend quite a bit of time on my hashtag, #WIPTruthOrDare, which is a daily hashtag game in which the participants choose between a truth or dare about their WIP. 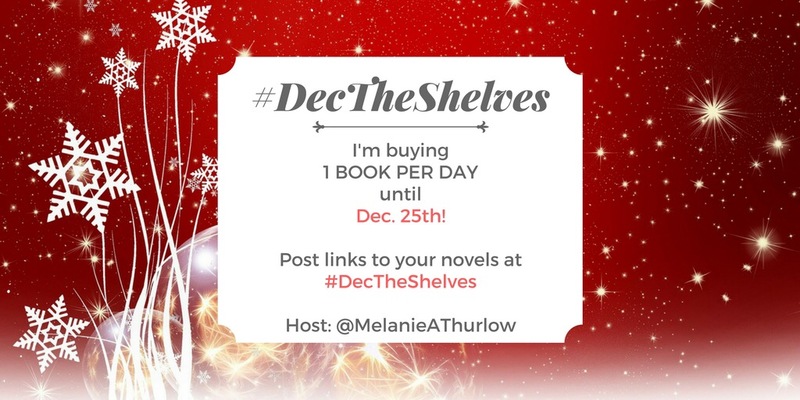 This December I’m also bringing back #DecTheShelves. Basically, it’s an open invitation to all indie/self-published authors to post links to their books to the hashtag. I have committed, as I did last year, to buying 1 book per day throughout December until December 25th. Last year it was mainly me and one other who actually committed to buying books and this year I’m looking to expand it’s reach a bit and get more people on board to commit to buying one book per day in December. So anyone who is interested in participating as a buyer just send me a direct message through Twitter. It’s just a fun and easy way to help support other authors during the season of giving, so to speak. So I’m really excited for this to be coming back this year! Thank you again so much for the interview, McKenzie! Thanks for telling us about you! I’m already crushing on Robert pretty hard, so I’d say job well done there! I can’t wait to read the next book! If you’d like to read Melanie’s book, you can find it on Amazon. And if you’d like to take part in #DecTheShelves or have a book you’d like her to get, just send her a message on Twitter. I take it you’ve read Melanie’s book?